WEEK 17: Another 3-0 Sunday!!!! WEEK 16: Another 2-0-1 Sunday!! WEEK 15: Another 3-0 Sunday!! WEEK 14: Another 3-0 Sunday!! December Lock Of The Month was 22-point blowout winner! November Lock Of The Month: Won yes huge payday! Lock Of The Month was a BLOWOUT WINNER BABY! > Send $40 for Superbowl Locks. went online sixteen years ago. WE ARE THE BEST IN THE BUSINESS ONLINE SINCE 2002. 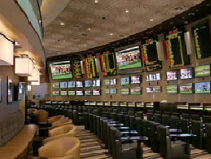 LOCK OF THE DAY – NFL Football Picks experts Longest Tenured & Most Respected Online Football Handicapper. Online Since 2002. Expert NFL football picks, college football picks, weekly NFL picks, NFL injury report, college football predictions, NFL picks Week 1, NFL betting advice, Best NFL handicapper, college basketball picks, NBA basketball picks, Best football handicapper. Copyright © 2005-2019. Information and opinions are for entertainment purposes only.